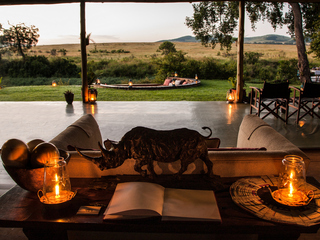 The Masai Mara is one of Safari Africa's biggest draws and rightly so. Vast rolling grasslands teem with wildlife year round with strong chances of seeing big cats. 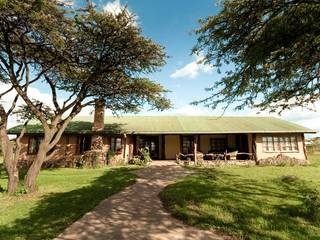 The area comprises the Masai Mara Reserve and adjoining private conservancies which are unfenced to the main reserve allowing animals to move freely. Whilst the main reserve can get busy especially during the migration, the adjoining private conservancies offer very light vehicle densities matched with very high wildlife densities, the perfect combination. 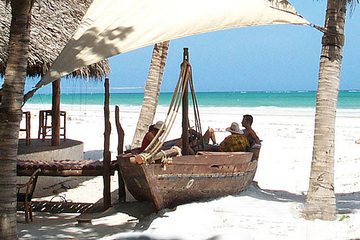 For an introductory safari, 2-3 nights in the Masai Mara works brilliantly with a week relaxing amidst the white sands of the Kenyan Coast. 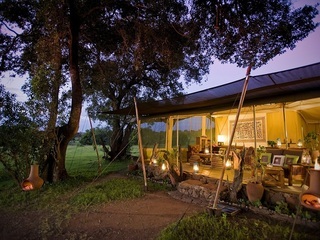 For a more imersive safari experience we recommend combining a Masai Mara safari with a wilderness camp in the Laikipia region of Kenya where you can bush walk, fly camp and enjoy a greater variety of activities than the more traditional game drives which most camps in the Mara region are limited to. 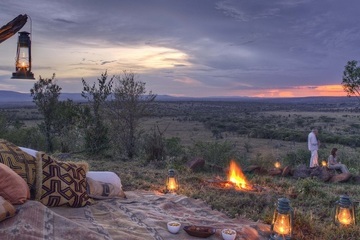 The Masai Mara is Kenya’s most popular safari destination and for good reason. 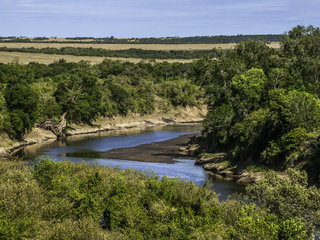 It is a vast reserve of endless flat grassland crossed by rivers which play host to wildlife’s most spectacular moments. 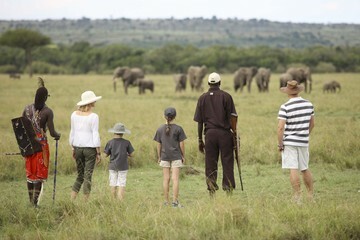 Within the park you get all the big game tickets, lion, hippo, crocs, rhino, you name it, Masai Mara has it. Perhaps its biggest drawcard is the Wildebeest Migration when vast hordes of Wildebeest roar through the park bringing in its trail a wake of mighty predators. 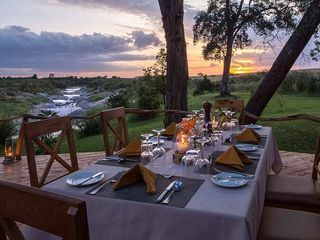 If you’re lucky enough to be in Masai Mara during the migration pick a spot by the river and watch enraptured as crocs and lions compete to pick-off stragglers from the clattering herds of wildebeest. 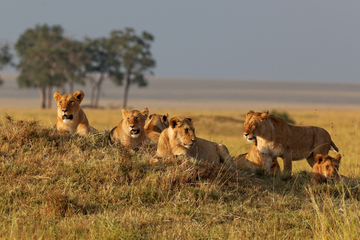 The beauty of the Maasai Mara is that it plays host to all the mainstream wildlife. There is always a strong chance of seeing lion in the park. Leopard and Cheetah are more rare but sightings are possible. Elephant, buffalo and wildebeest are common. The rivers and hippo pools play host to crocs and hippos. And of course there is the usual plethora of birds and antelope (big and small). 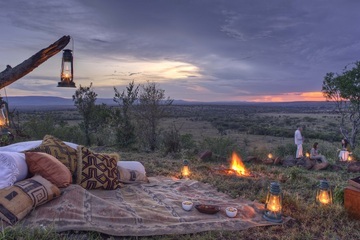 The most striking feature of the Maasai Mara reserve are grasslands, which roll towards the distance horizon with only the occasional Acacia tree or bush lined river breaking the view. 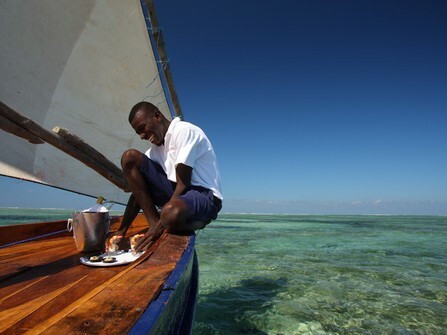 It is the quintessential African landscape that you picture when you think of safari. 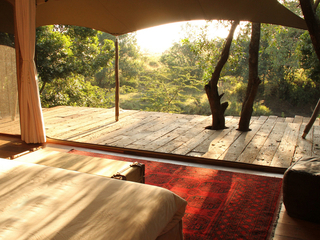 Masai Mara is around 5-6 hours drive from Nairobi and 3-4 hours from the Rift Valley Lakes at Naivasha and Nakuru. The last hour or two of road to the Maasai Mara reserve is awful, so expect a bone rattling drive. Nowadays, most of our safaris fly in to the Masai Mara on a small plane (Safarilink) which tends to be far more convenient unless you specifically want to combine with the Rift Valley. 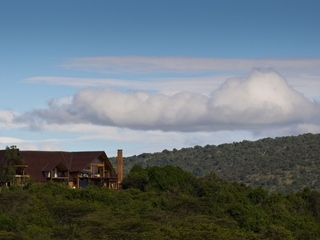 We recommend a minimum stay of 2 nights in the Mara, with 3 nights being ideal. If you are visiting during the Migration and you have your heart set on seeing a river crossing then a longer stay is advised as we need to allow time for staking the regular crossing spots. 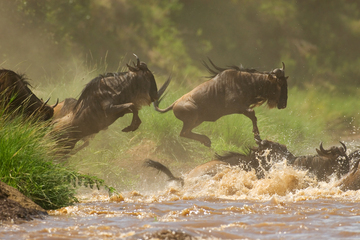 Undoubtedly the best time to visit the Masai Mara is during the wildebeest migration in June, July and August. However it is still more than worth a visit during the rest of the year. The only exception being towards the end of the long rains in April and May when the roads often become impassable. The migration (late June, July, August and early September): Mid June usually heralds the arrival of the wildebeest migration and this is without doubt the time to visit the park. There are of course disadvantages of all the wildlife – they bring with them hordes of tourists and high prices. So if your idea of a safari is desolate wilderness this is not the time to visit the Maasai Mara. The short rains (late September, October, November): This season is known as the short rains. A little rain falls during these months, usually early in the morning or late in the evening, but nothing to hamper your enjoyment of the Maasai Mara. The roads in the park are also fine. The long rains (late March, April, May, early June): This is the down season in the park. With regular rain falling pretty much every day. The weather tends to settle into a pattern of rain in the evenings, overnight and mornings. It tends to clear up around 10am and start raining again around 3pm. The big problem is the state of the roads in the reserve, many of which can become impassable even for 4wds. This tends to effect the smaller tracks rather than the main roads running through the park Still, despite the rains, many frugal travellers choose this time of year to snap up bargain rates at high end lodges. Often at rates less than half what you would pay in the high season.